Natural mineral water is one of the most underrated and often, underused supplements in the world. Most of us have no problem downing popular fruit and vegetable-containing drinks that are high in sugar and only moderately rich in vitamins and other trace nutrients. But when it comes to mineral spring water, many consider it to be nothing more than a fancy title to get you excited about drinking it. All living creatures on this planet need water to live. We're constantly losing it. Just the act of breathing, sweating and urinating leaches considerable water from our body each and every hour of the day. Men need approximately 3 liters of water every day to maintain adequate health. The average woman needs about a liter less than that at 2.2 liters per day. Without adequate intake, health begins to quickly deteriorate. In most climates, a human being cannot survive much more than 3 days without drinking any water (source). 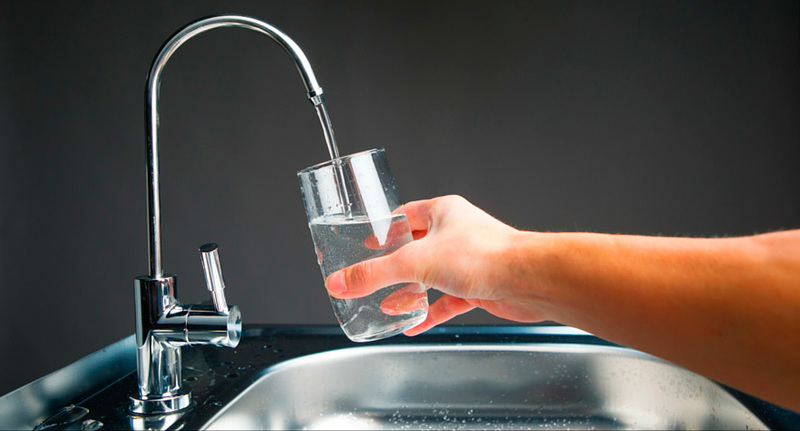 Even slight dehydration can cause symptoms like confusion, dizziness and lethargy. The trouble with hydrating with plain old H20 is that most of us don't care for the (lack of) taste most water that comes from natural sources offers, favoring tasty caffeinated or sugar-filled beverages to quench our thirst instead. These drinks further dehydrate us and make our body more toxic. Natural mineral water from a quality trusted source has a pleasant, distinctive taste that tickles the taste buds while giving your body the trace minerals it needs to sustain life. Keep reading to learn more about these minerals. Our recommended calcium intake is a little more forgiving than that of water itself. Depending on age, the average adult needs anywhere between 1,000 – 1,300mg of it every day to maintain healthy bones (source). Without calcium, teeth and bones start to deteriorate, making them susceptible to decay, fracture and breakage. Calcium does much more than that though. It's essential in creating the hormones that make our heart beat strong and steady, and helps with neurotransmitter function throughout the brain and body. Magnesium is the unsung mineral “hero” our body needs lots of. Even though it doesn't get talked about near as much as other essential elements like calcium or iron. Magnesium is to our body what the positive (+) terminal is to a battery. We can't make energy without it. Magnesium's essential for every single metabolic function in the body. Our metabolism uses a molecule called ATP to fuel nearly every process that takes place in the body including our heartbeat, bone development and muscle contraction. ATP cannot function unless it's accompanied by magnesium, leading to a host of problems like muscle weakness, high blood pressure, diabetes and migraine headaches (learn more). Natural spring mineral water, such as One Water sourced from deep underground the Malaysian Rainforest, can contain up to 29% the daily value per liter for this valuable mineral nutrient, ensuring you are never deficient. Regularly drinking mineral spring water is a must for people who don't eat very much of the grains or leafy greens that contain this mineral. Sulfur is invaluable to the body in reducing inflammation and fighting the free radicals that cause premature aging of the skin, narrowing of the arteries and cancer, to name a few. It's also an essential compound used in creating the acid our gut uses to digest food. Sulfates are also used to neutralize the dangerous chemicals that find their way into our bodies from the foods we eat, the beverages we drink and the air we breathe. Last, sulphur is used by the immune system to create the antibodies used to fight of bacterial and viral infections. By weight, it's the 3rd most common element in our body after calcium and phosphorous (source). However, few of us have been instructed as to how much of it we need to ingest (there's no current RDA for sulfur), even though it leaches out of our system really quickly. Pure natural mineral water contains lots of sulphur and is considered one of the richest dietary forms of sulphates available. As you've learned, natural mineral spring water is far superior to the other sources of water that most of us drink on a daily basis. Many municipal sources (tap water,etc.) and bottled spring water have had most of the essential and trace minerals stripped during the purification process, robbing you of the essential dietary benefits water can offer. If you'd like to learn more about how natural spring mineral water can improve your health, vitality and longevity, feel free to contact One Water for more information about our products. Read also "Water and its Wonderful Benefits for Your Health"